Rontis participated in the 5th Vietnam National Congress of Interventional Cardiology (VNCIC) held in Can Tho Province, Vietnam, on the 11th of November 2017. The Congress constitutes a forum, organised by Vietnamese professors and physicians, aiming to promote the exchange of clinical knowledge, discussion on technical solutions and access to the most recent advances in cardiovascular interventions. As part of the global effort to combat cardiovascular disease, this congress is of particular importance to the local population, as, according to statistics from the Vietnam National Heart Association, about 20% of Vietnamese population will suffer from cardiovascular diseases (CVD) and hypertension by 2018, while 25% of Vietnamese people aged 25 and older are currently suffering from hypertension. 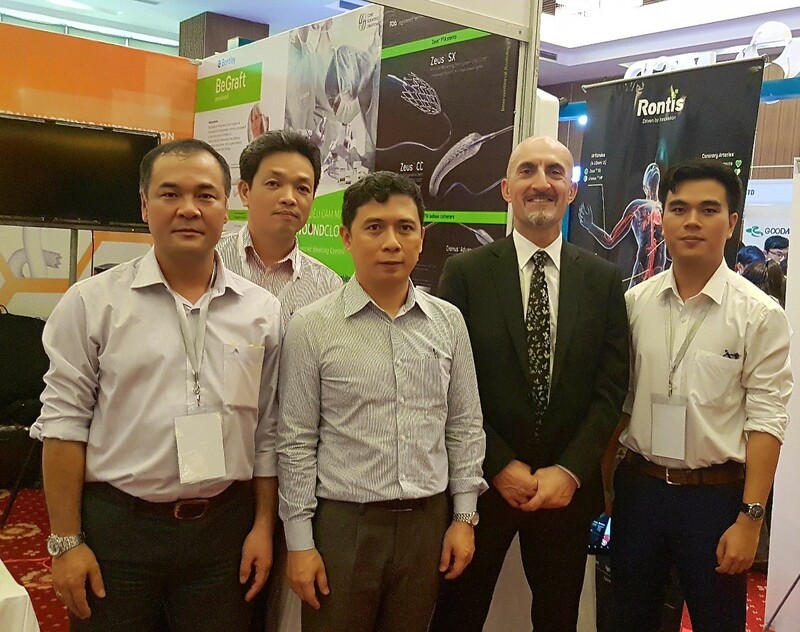 The related exhibition was attended with a booth by Rontis’ Vietnamese distributors, Golden Growth Biotechnology, as well as by our Clinical Education Manager for Endovascular Devices, who was invited as a guest.